Given the hype train speeding along with Super Mario Maker, you would perhaps be forgiven for thinking that Nintendo were releasing a new big Mario game and that is was practically guaranteed to beat all the other adventures of the famous plumber that precede it. The thing is, if you were to think that, you would be more or less right (as strange as that may sound). Super Mario Maker is a celebration of Mario, a simple overall-wearing man that has been stomping on strange creatures for thirty years this year. 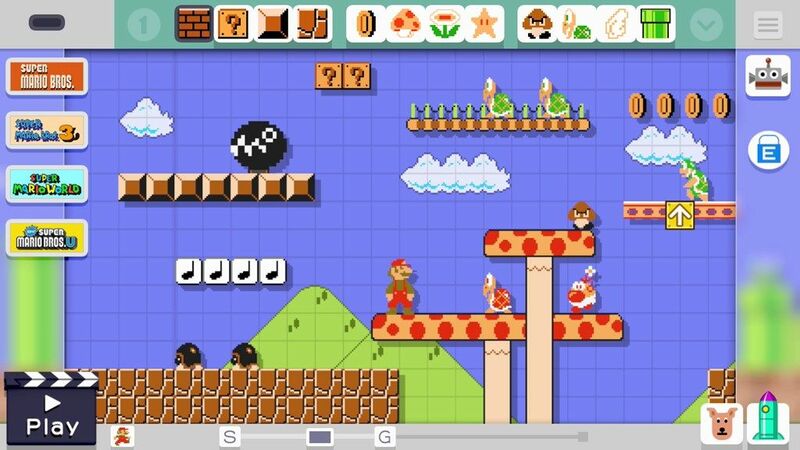 What better way to throw a party than to give the fans the wonderful and scary experience of making their own 2D Mario levels, just like Miyamoto did thirty years ago? You must all know the deal with this game by now, but it’s a (rather extensive) level editing game, with pre-created in-game levels and a whole online community worth of levels to play and beat (or lose catastrophically against). The game doesn’t have much to speak of in terms of narrative (although what would you really expect from a level editor?) outside the standard “Please save Princess Peach from Bowser” thread of the 2D Mario titles. But even then it messes a little with the formula, giving you a certain number of lives to clear eight randomly chosen stages of either in-game levels (which gives you 10 Marios) or user-created ones (which give you 100 Marios); however, to understand the disparity between the allotted life counts, the game itself will need to be explained. The simplest way to describe Super Mario Maker is to divide it into its two strands and deal with each one individually. As it is the first one you will see, the ‘Create’ mode is the best starting point. The game drops you straight into a short demo level that you can play around with, showing you the basics of what you can do in the game. Starting with an initial set and unlocking each one over time might seem laborious to some, but it’s actually an ingenious method of getting the player to try out all the simpler mechanics before moving on to more difficult ones. This might still not convince some but, believe me, even some of the simpler mechanics you can use don’t always work how you intend or want them to. Then there’s the behavioural mechanics that you have to test out as you create obstacles and enemies that haven’t been seen before. Want to make a Lakitu that throws Goombas, or make “?” Blocks spawn enemies? You can, but you might want to check that it works how you want it to (I personally had a little bit of a mess on my hands when I wrongly implemented a Cheep-Cheep and Pipe concoction). 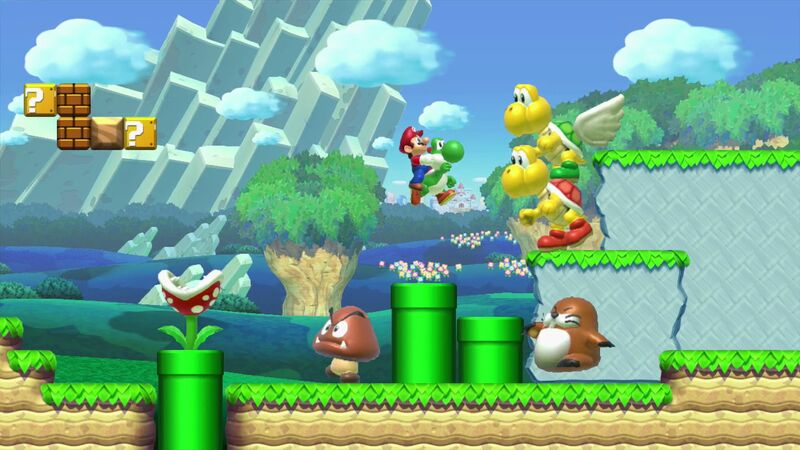 Basically, you create levels using the Wii U GamePad, tapping the item you wish to place then dragging or tapping it into the faint grid on the screen, shaking the item to change it to alternate formats (such as changing a green Koopa Trooper into a red one, which have different behavioural patterns). But there lies the magic of the game, you can make the levels as complex or simple, easy or hard as you want, the tools are all there (but I’ll go a little more into that in the ‘Play’ explanation). Also, the ability to set your levels in any of four Mario titles and with a choice of even more settings (some of which don’t even occur in all the titles, but have been faithfully replicated in each games art style, complete with items occurring in these settings) adds even more depth to such a simple premise, and these can be changed as simply as tapping the top-left of the touch screen. Furthermore, uploading levels is incredibly simple, all you have to do is select “Save and Upload”, and then prove that the level can be beaten by finishing it yourself. The simplicity of the tools available make it so that almost anything you have already seen before in a 2D Mario, and a lot that you haven’t, can be put into your creations and shared with the world. Now, in terms of the ‘Play’ mode, you will undoubtedly see a lot of the former mentioned above, but a lot more of the latter. This mode is essentially divided into the offline and online components. The offline sees you traversing the increasingly difficult in-game ready-made levels, but online is very different. You can choose here how you wish to progress, you can either search by (or for) particular users to attempt their levels (there have been some brilliant creations by some of my favourite media and Youtube people), browse by most popular levels, or attempt the 100 Mario Challenge. As a word of warning with the user content, there are some terrifyingly difficult levels already and the game isn’t released properly yet. This being said, there are also some wonderfully clever levels that make you think a lot more than standard Mario ever has. EDIT: The Amiibo costumes for Mario (as simple as tapping an Amiibo on the GamePad in ‘Create’) cannot be ignored just based on the diversity they add to the gameplay. For instance, the Retro Colours Mario Amiibo changes a lot about the game; changing Mario into a powerful behemoth (in a similar fashion to the Mega Mushroom), changing the screen to a classic CRT effect, among other little fun distortions. Also, the Amiibo figurine itself is quite a lot more detailed than many that have come before, and is quite weighty (for those that don’t own it or are waiting for the modern colours). Quite a lot of the Amiibo only add aesthetic changes, but some of them change a lot more (however, I’ll leave you to discover that for yourselves). If you add on to everything above a series of in-game unlocks, that I refuse to spoil for you all (as some of them are incredible), which can be made by playing through the levels (both user and in-game) there is some serious longevity to this title. Aesthetically, as I mentioned in my Preview a couple of weeks ago, Super Mario Maker is just about as polished as it physically can be. Everything sounds and looks crisp and clear, and little flourishes are placed around to find that belie a tremendous attention to detail. In the ‘Create’ mode, placing items plays a distorted version of the song that would normally play in that setting and game, or attempting to erase Mario with the erasing tool will cause him to flinch or duck. It’s the little details such as these that Nintendo are known for and it’s always good to see them even in a game you kind of create for yourself. Also, I won’t (once again) spoil it for you all, but the subtle differences added to the Amiibo costumes are often fantastic too. Essentially, for a game that you, as the player, build yourself along with a global community, there has been so much care put into it that it almost feels tailor-made to the player. 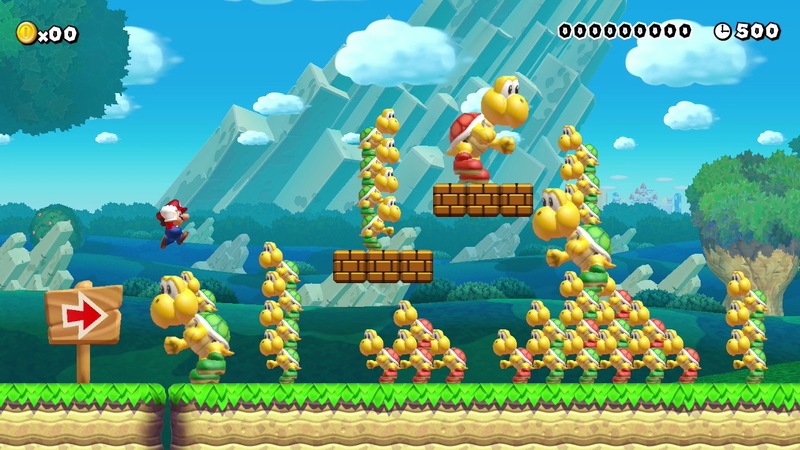 So, it’s time for the burning question; should you buy Super Mario Maker? It’s a no-brainer and an indisputable yes. Anyone who loves Nintendo will be able to take something from this game. The ‘Create’ mode is simple to use but wonderfully complex, the in-game levels range from simple to challenging and the online community means that there will ALWAYS be new levels to play. I will honestly say now that Super Mario Maker is an absolutely essential Wii U purchase, and I don’t say that a lot. 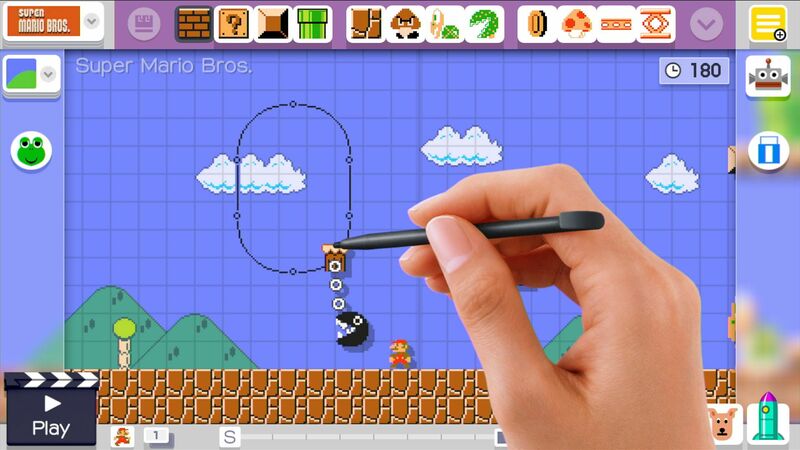 Will you be getting Super Mario Maker, or have you already played it and have thoughts on it? Let me know in the comments or on Twitter (@reuthegamer). Finally, thank you to Nintendo for kindly supplying us with a media copy of the game and a Retro Colours Mario Amiibo to review.